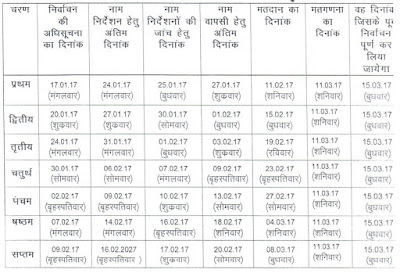 UP Election Schedule 2017, Dates (उत्तर प्रदेश विधानसभा चुनाव 2017 तारीख): Election Commission of India announced the election schedule of Uttar Pradesh Legislative Assembly / Vidhansabha Chunav 2017. 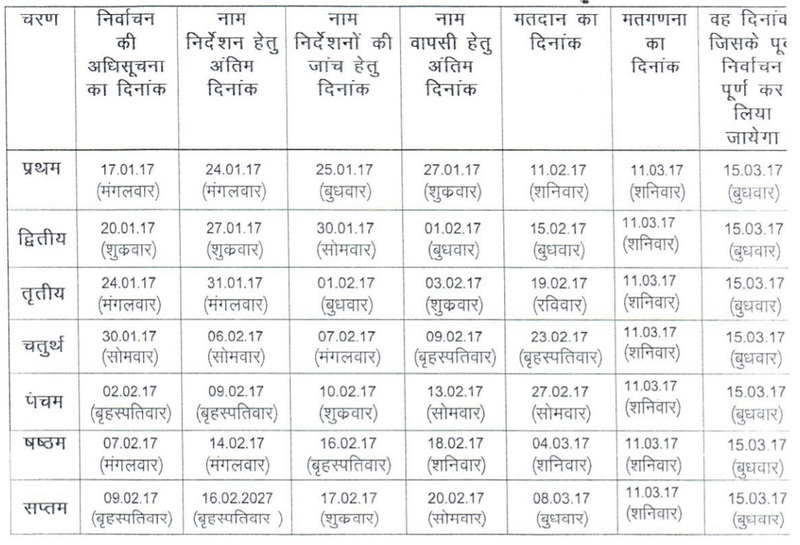 UP Election will be held from February 11 to March 8, 2017 in 7 phases. Counting of votes will take place on March 11, 2017. Incumbent Samajwadi Party (SP) government came to power in 2012 by securing a comfortable majority of 224 seats. 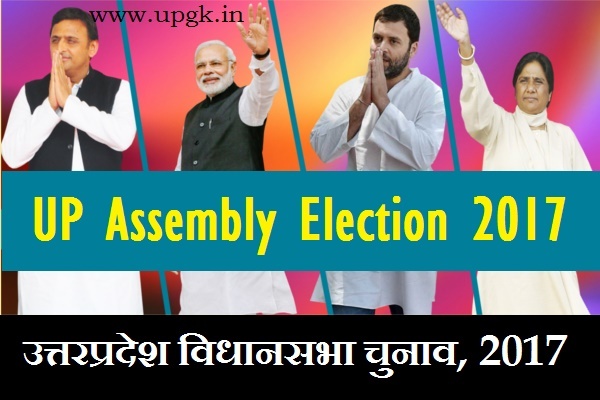 The Uttar Pradesh Vidhan Sabha consists of 403 assembly seats. Samajwadi Party (SP), BJP and the Bahujan Samaj Party (BSP) are the main political contenders in Uttar Pradesh Polls 2017.